April is Child Abuse Prevention Month, which is an initiative sponsored by the Children’s Bureau and the U.S. Department of Health and Human Services. The goal is to connect families and communities together in order to prevent child abuse and neglect and promote the well-being of children and families. This goal aligns with the mission of the National Runaway Safeline (NRS), to keep America’s runaway and homeless youth safe and off the street. In order to support the work that this organization and others are doing during Child Abuse Prevention Month, NRS is recognizing a resource in the NRS’ database of over 6,000 resources that is dedicated to preventing child abuse. 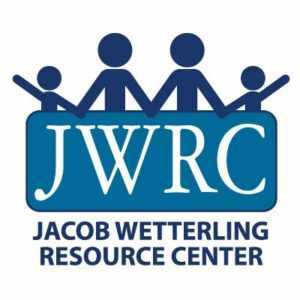 The Jacob Wetterling Resource Center (JWRC) in Minneapolis, MN, was founded to educate and assist families and communities to address and prevent the exploitation of children. The center is named after an 11-year-old boy named Jacob Wetterling who was kidnapped in 1989 and was found deceased in 2016. After his abduction, Jacob’s parents and members of his community began a series of initiatives that would eventually form the JWRC. Partnering with the Gundersen National Child Protection Training Center, the JWRC provides a 24-7 hotline for victim assistance. It supplies victims and families with resource referrals, case management, safety planning, and assistance with law enforcement. The JWRC offers information on how victims can report abuse, how to receive support once a report has been made, and what a victim can expect during the process. The organization also offers education and resources on prevention, including online safety, family safety, and safety within communities of faith. The organization also offers workshops and webinars on child abuse prevention, which can be found on their website. The Jacob Wetterling Resource Center is a valuable resource for those who are suffering from the effects of child abuse. It is dedicated to helping those in need and preventing youth from suffering in the future. NRS is proud to name the JWRC as our Organization of the Month for April 2018.